with original painted finish. 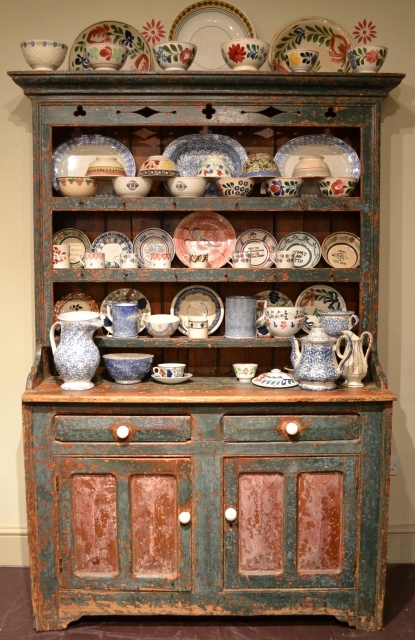 A pierced frieze under the cornice, the drawers and doors with original china knobs. Wonderful colour.